One of the best things you can do for your joints is to exercise them. In fact, a study published in the January 1997 issue of "The Journal of the American Medical Association" found that resistance exercise significantly reduced arthritis pain in the knees. Because of the mechanics of the movement, the deadlift is considered to be a safe exercise for the knee. But everyone is built differently, with different proportions and biomechanics, and it's possible for deadlifts to cause knee pain. If you suffer from chronic or sharp knee pain, be sure to talk to your doctor. As heavy exercises, the squat and deadlift are often compared. They are both powerlifting competition lifts, and they both have followers who are passionate about which is the king of lifts. But one way in which the deadlift certainly wins is when it comes to knee health. The squat and the leg press both have turnaround points at which the pressure on the knees is multiplied depending on the speed of the descent. Because the barbell is set down at the bottom of the deadlift, it is the safest for the knee of all the heavy leg exercises. If you are feeling knee pain after doing a deadlift, it's possible that you aren't performing the exercise correctly. While most incorrect deadlift postures will injure the lower back, one particular cheat can affect the knees. According to Arnold Schwarzenegger in his classic book, "The New Encyclopedia of Modern Bodybuilding," the easiest way to injure your knees while performing a deadlift is to cheat by bouncing the weight off the floor at the bottom. This causes your leg muscles to have no resistance at one moment, and then very heavy resistance the next, which could cause tendon strain or even patella displacement. The traditional and sumo deadlifts are considered equal. Both are legal in powerlifting competition, and both have been used to set records. But they each affect the knee slightly differently, so if you are experiencing knee pain from one type of deadlift, try the other. A study of the biomechanics of the deadlifts performed in the 1999 Special Olympic World Games and published in the August 2001 issue of "Medicine and Science in Sports and Exercise" found that the traditional deadlift worked the knee flexors, while the sumo deadlift worked the knee extensors. Also, while the traditional deadlift places more strain straight down on the menisci, the sumo deadlift places more on the ACL and PCL tendons. If both styles cause knee pain, consider using a shrug bar, which can change the path of the weight, or even doing stiff-legged deadlifts, which won't cause knee pain because the knee is stable throughout the exercise. After a knee injury, the most common quadriceps exercise used during physical rehabilitation is the leg extension. According to "Strength Training Anatomy," it and hamstring curls are the safest way to build the leg muscles up while the knee is still sensitive. But, if at all possible, these exercises should be viewed as a way to build up to free weight leg exercises. 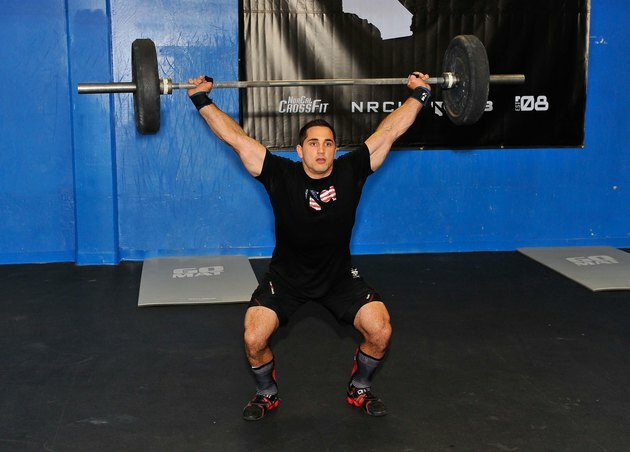 The best free weight alternative to the deadlift when joint safety is a concern is the stepup. "OverspeedTraining.com" explains that it is so effective that it propelled Eastern European Olympic strength athletes to their dominant status, but it's so much lighter and less stressful than the squat that it results in almost no injuries. The key to performing the exercise in a way that's safe for the knee is to land on the toes of the foot of the non-working leg.